Spring | Zonyxa. Unique and contemporary jewellery for Work. Love. Play. Inspired by the verdant greenery spring brings: this striking combination of dark green smaragd and pale green prehnite cubes combined with larger clear crystal cubes lends this piece fresh and a contemporary look. 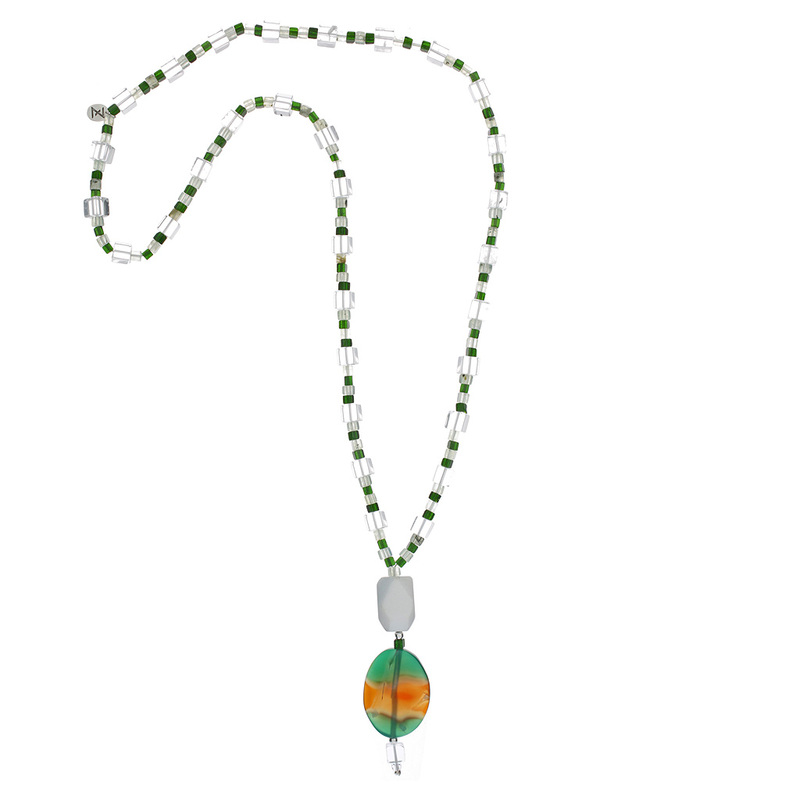 Dominating the long necklace is a free-formed white agate pendant, underscored by a smooth oval of rainbow-like green-brown agate finished with a delicate cube and petite round of crystal “full-stop”.